Posted September 5, 2011 by William Martin & filed under Exclusives. 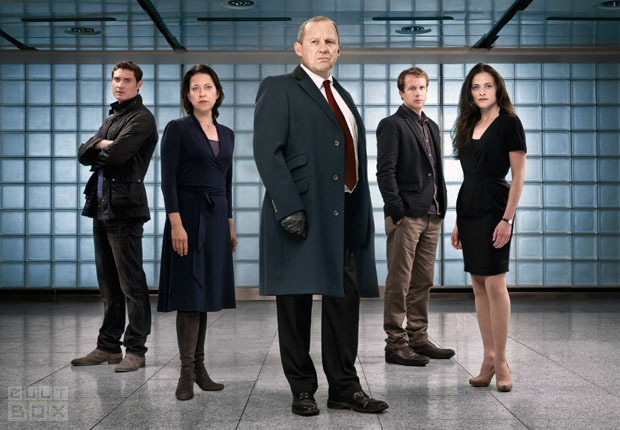 Spy drama Spooks returns to BBC One for a tenth and final series later this month. At what point during production were you made aware that this was to be the final series and how did this affect the scripts for later episodes? “There was always a strong possibility of it being the end, so throughout the process we were looking for ways to infuse it with a sense of finality. Does Series 10 feature standalone episodes or follow one main arc for the whole series? Will the decommissioning of Beth Bailey be mentioned onscreen? How would you have developed Beth’s character in Series 10 if she had stayed and were you sad to lose Sophia Myles after just one series? “Beth was a former private contractor, a type we hadn’t really seen on the Grid before. There were plans to explore that a lot more, show her torn between her new sense of public service and the pull of her lucrative past. Will we see more of Dimitri this year? Who has been your favourite Series 10 character to write dialogue for? Can you give us a hint about the characters played by each of Series 10’s new cast members (Lara Pulver, Alice Krige, Jonathan Hyde and Geoffrey Streatfeild)? “Lara plays Erin Watts, the new Section Chief. She seems an ambitious, steely, ball-busting presence at first, but there’s a heart underneath that she finds increasingly inconvenient. “Jonathan and Alice are Ilya and Elena Gavrik. Can’t give too much away about them, but safe to say they’re Russian, and cast long shadows from Harry’s past. Did you have Star Trek star Alice Krige in mind when you wrote the character of Elena and were you excited about having such a cult actress join the show? “No, casting begins once scripts have been written. But we were thrilled. She’s amazing in this series – really got into her character, asking lots of thoughtful (and sometimes tricky!) questions of us, which we fed back into the writing and gave new layers to Elena. > Read the second part of our exclusive interview with Sam and Jonathan.